Natural pineapple flavor is fresh and extra-strong flavor sparkles in drinks. This flavor gives you the feeling of an exact sweet pineapple fruit taste. It is one of the most versatile flavors used for food, drinks, frosting, baked treats, candies and desserts. No artificial sweeteners. 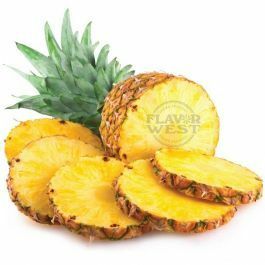 Type: Pineapple All Natural Water Soluble Flavoring. Ingredients: Natural Flavoring, Propylene Glycol. USP Kosher Grade Flavoring. Usage Rate:15-20% for E-use. Flavor Suitability: Suitable for drinks, beverages, baked treats, soap making, lip balm, and use in the pharmaceutical industries Specific Gravity: 1.01 No Refunds on Flavoring.